Mobile phones under the android platform always deserve a best place in market. So if you got messed with android OS and want to try it in your netbook or laptop here is the procedure to experiment it. You can install in your memory cards or flash drives to test android OS on your system. Download android from Android-x86 and copy it in your flash drive or memory card. Scroll down and download it from the stable release section of the site. This will download an ISO file from the website. Also Make sure your memory device having memory more than 256MB and make your memory drive clean before copying android into it. 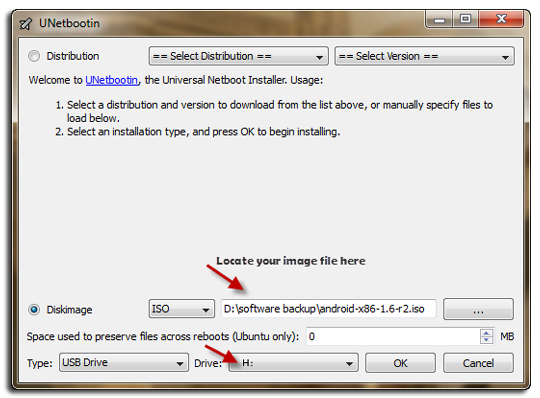 You also need UNetbootin (Universal Netboot Installer) to run android on your system. So download it from UNetbootin site. It is available for all the leading operating systems. So choose your OS to download UNetbootin from the site. Now I have downloaded UNetbootin for my windows platform. All you need to do is insert your drive which you going to install your android OS. UNetbootin extracts the ISO file of android OS which you downloaded and install it in the target disk. The first step of your installation is shown in the screen shot below. After selecting the target disk, android will start extracting from ISO file and installed in your disk. Now your flash drive will get installed with android OS. This may take few minutes depending on the speed of your flash drive. Once you get done with the process you will asked to reboot your system. If you wish you can reboot system immediately or else you just exit and run android when you want. Now your system is ready to run android OS. All you need to do is reboot your system with the flash drive. Change the boot setup to boot from removable disk. In default it will be available to boot from your hard drive. So press F2 on reboot of your system. Go to Boot menu in the BIOS setup and change the boot setup to boot from removable disc. Then press F10 to save your changes and exit from BIOS setup. Now your system will restart and boot from your removable disc. This will bring a menu infront of you with the following options. Select Live CD- Run Android-x86 without installation. Then your android OS will start booting and you need to wait for few minutes until it gets loaded. After a couple of minutes you will straightly get into your personal desktop. 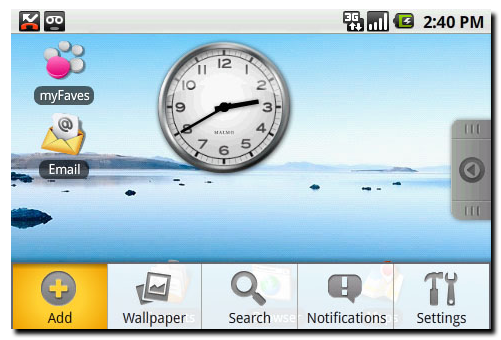 The default applications will be available on the home screen and for more applications go to menu and select the applications you need. By default android give access to webcam and Wi-Fi. So that after entering into the menu you can install the apps you need. You can carry your memory card or flash drive to anywhere and use your own android OS. But your apps installed will be gone when you reboot your system or when you put your removable device in another system. This provides a better interface for the persons who are all using the public systems. Follow these steps, try installing android in your system. share your comments and doubts in the comment box below.